Clean-Kill Pest Control Inc.Make your home or business BEAUTIFUL & ELIMINATE PESTS. 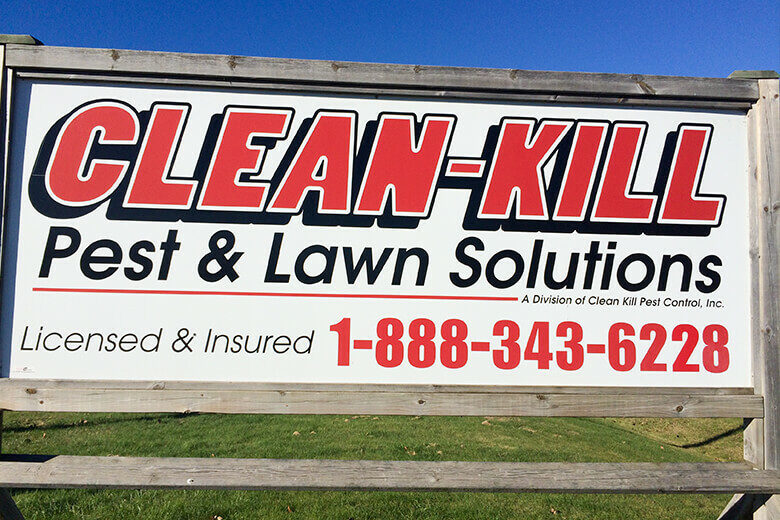 Clean-Kill Pest Control, Inc. was officially open for business in 1971 by Gary Dettman in Marinette, Wisconsin. Gary was the descendant of a fur trader who opened a trading post in mid 1700’s in our region. Gary continued a tradition of family owned businesses until his retirement in 2001. Clean-Kill Pest Control, Inc. has continued under the operation of Tim Dettman and Sons and a great group of employees. Gary strongly believed in customer satisfaction by providing quality, guaranteed, cost-effective service using the most up-to-date products and equipment. Today, the current staff at Clean-Kill Pest Control, Inc. embraces this same approach to ethical, quality service. A family business of 45 years deep rooted in tradition to provide quality, guaranteed, and cost-effective services. Our licensed professionals are passionate about protecting and enhancing the value of your home or business. Our staff provides ethical, quality service by identifying your unique needs and treating your property as if it was our own. Gary Dettman, our company founder, had a vision to provide quality, guaranteed, cost effective service using the most up-to-date products and equipment to elevate customer satisfaction. 45 years later, Clean-Kill Pest Control Inc., operates under the same principals. We hire trained licensed professionals, offer free estimates, and provide satisfaction guarantees on our services. We strive to be the most knowledgeable, best equipped, professional services available in Northern Wisconsin and Michigan’s Upper Peninsula. We provide a wide range of quality services to our customers focused on results. We also have a retail store for pest control products at our home office location.